Dear all Sprint Samsung Galaxy Note users! The unlocked Galaxy Note 8 version comes with an expensive price, nearly $1000, so many of you are not affordable to grab one yourself. That time, a locked carrier version, here is Sprint carrier, is the best choice for you to choose with a reasonable price. But locked version exists a lot of negatives, especially your Note 8 will only be able to use the SIM card of Sprint carrier. If you want to unlock your phone, you will need to pay the amount of money to make it unlock fully with the help of the unlock service provider or from Sprint carrier. But now, we can help you unlock your Sprint Note 8 to use with any carrier without having to pay money. 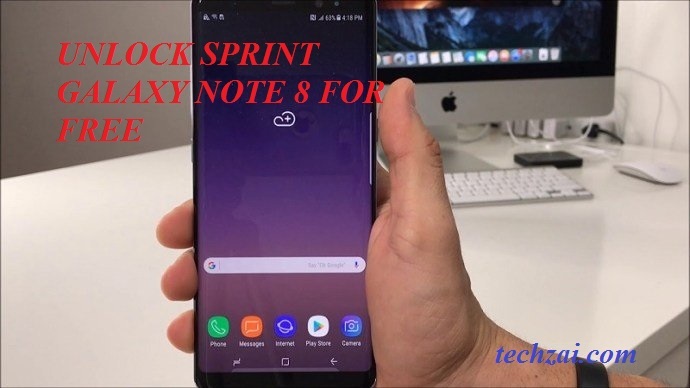 If you are eager to unlock your Note 8, read this post to know how to unlock Sprint Galaxy Note 8. Charge your phone’s battery to at least 40% to keep out of any unexpected issues. Power off your Note 8 and boot it into Download Mode. To do so, press and hold Power + Bixby + Volume Down buttons at the same time. Now, launch the Odin app and start flashing the unlock file. Simply click on AP section and choose the extracted file.